Product prices and availability are accurate as of 2019-04-20 11:53:56 UTC and are subject to change. Any price and availability information displayed on http://www.amazon.com/ at the time of purchase will apply to the purchase of this product. 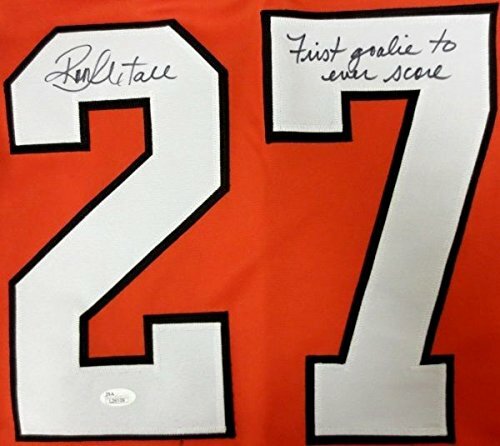 Featured is a Ron Hextall Philadelphia Flyers Signed Custom Jersey, which is inscribed "First Goalie To Score A Goal". 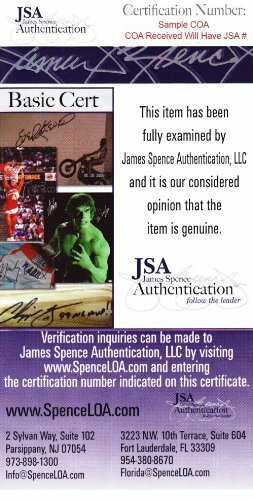 This jersey was hand signed by Hextall and comes with the JSA hologram and certificate of authenticity. 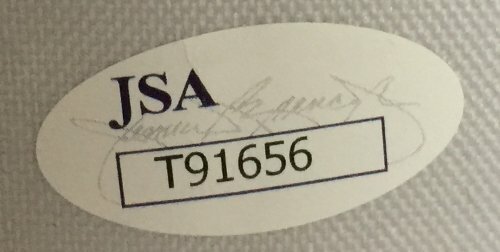 The jersey features sewn name and numbers and is a size x-large. *This autographed jersey is a collectible and is not to be associated with the NHL or it's teams* Hextall played 11 of his 13 seasons over two stints with the Flyers. 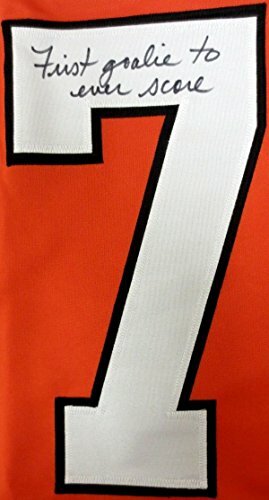 He holds several team records and is a member of the Flyers Hall of Fame. 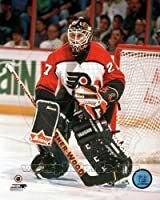 During his rookie season in 1986-87, he was awarded the Vezina Trophy as the league's top goaltender and led the Flyers to the Stanley Cup Finals. Despite the Flyers' loss to the Edmonton Oilers in seven games, he won the Conn Smythe Trophy as the playoffs' most valuable player, making him one of only five players to win the trophy in a losing effort. 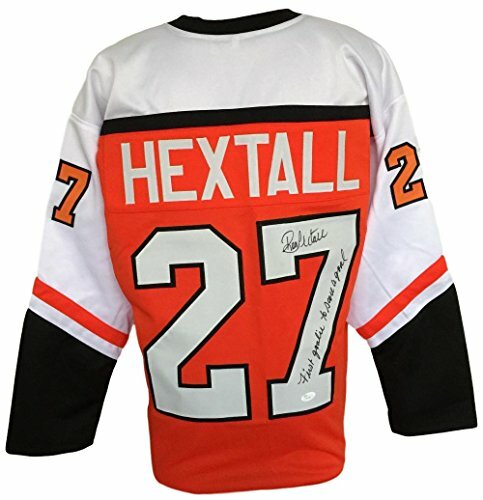 Hextall became the first NHL goaltender to score a goal by shooting the puck into the opponent's empty net, against the Boston Bruins in the 1987-88 season. The following season, he became the first goaltender to score in the playoffs, by shooting the puck into the Washington Capitals' empty net. His mobile style of play, in which he provided support to his defencemen by coming out of the goal area to play the puck was revolutionary, and inspired future generations of goaltenders, such as Martin Brodeur. He was also known for being one of the NHL's most aggressive goaltenders: he was suspended for six or more games on three occasions, had more than 100 penalty minutes in each of his first three seasons, and set new records for the number of penalty minutes recorded by a goaltender in the NHL.